For most of the 21st century, men’s singles tennis has been dominated by the “Big Four” of Roger Federer, Rafael Nadal, Novak Djokovic, and Andy Murray. This phenomenon is well documented—including by myself—but it hasn’t been a uniform run of evenly shared spoils for these tennis greats. There have been ebbs and flows, clear patches of dominance, and falls from grace that have seen the dynamic of these four great players shift like quicksand for over a decade. Let’s break down the key periods in the Big Four’s history to date. Roger Federer went into 2004 fresh off the heels of winning his maiden Grand Slam—the 2003 Wimbledon Championships—and immediately stamped his mark on what would be a dominant season by taking his second Slam at the Australian Open. During the course of the year, he would successfully defend his Wimbledon title, take his first US Open title, and become number one in the men’s singles rankings for the first time. This would prove to be a major sign of things to come as, with the exception of the 2005 Australian Open, Federer would go on to win the same three Grand Slams in 2005, 2006, and 2007. Federer would also take no less than thirteen ATP Masters titles and all but one of the ATP World Tour Finals during this time. 2006 in particular is considered Federer’s career best season, with twelve singles titles and a win/loss record of 92-5. During this season, Federer reached the finals of 16 out of the 17 tournaments he entered. Understandably, Federer’s run of success during this time has placed him firmly in the running for greatest player of all time nods, and many consider his dominant 2006 season to be one of the most successful seasons of any tennis player ever. During this period of Federer-dominance, the French Open continued to elude him. This was, in large part, due to the fact that fellow Big Four member, Rafael Nadal, was in the process of establishing himself as one of the great clay court players by winning the 2005, 2006, and 2007 French Open titles, not to mention regularly taking the number two ranking spot. This period is often thought as the “Big Two”, however it was in 2008 when Nadal really came to the fore. 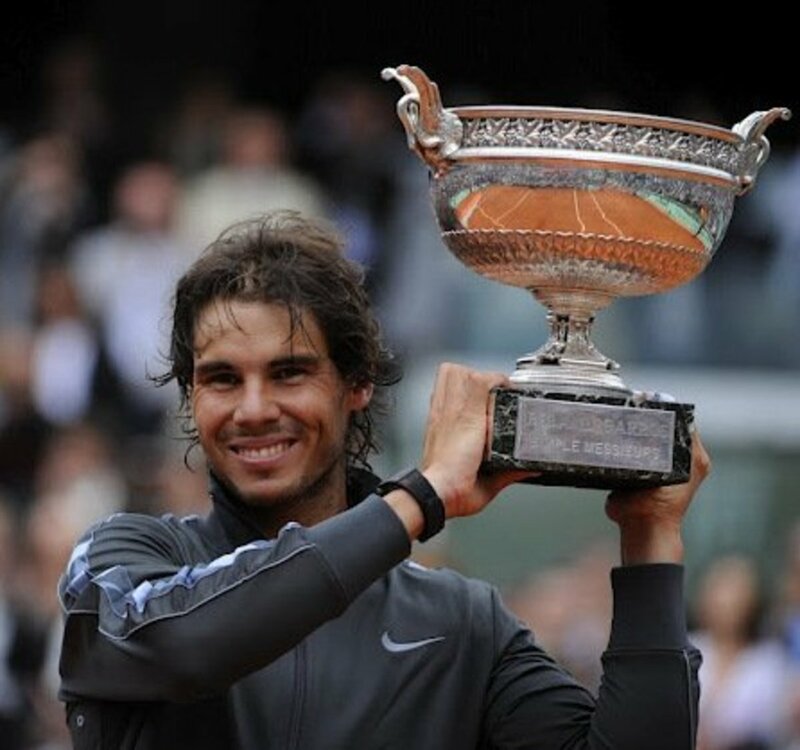 As mentioned, while Federer was ruling the tennis world, Nadal was firmly establishing himself as the unbeatable King of Clay, winning every French Open title from his first in 2005 to 2008. 2008 was to Nadal what 2006 was to Federer; a year of dominance and success. Nadal claimed the French Open, of course. He also grabbed his first Grand Slam title outside of Paris when he took Wimbledon, deposing Federer’s five year reign at the All England Club. The 2008 Wimbledon final between Federer and Nadal—the longest Wimbledon men’s singles final in history at the time—is widely considered to be one of the greatest tennis matches of all time. Nadal would also take Olympic gold at the 2008 Olympics in Beijing, as well as reach number one in the rankings for the first time. A first Australian Open title followed in 2009, however in an unexpected twist Nadal was knocked out of the French Open in fourth round by relatively unheralded Robin Soderling, a defeat that gave Federer the opportunity to take his first French Open title and complete the Career Slam. With 2009 seeming a bit of a let down after Nadal’s 2008 successes, 2010 would prove to be something of a mini resurgence. Nadal returned to winning ways at the French Open, bringing his Grand Slam tally to seven, and followed that with a second Wimbledon title, but it was at the US Open that Nadal really began to cement his legacy. His first US Open, and ninth Grand Slam title, gave him a Career Golden Slam, something only Andre Agassi had achieved in men’s tennis before. He would also regain the number one ranking spot, making him one of a very small number that have been able to regain the top ranking after losing it. Though Novak Djokovic had been in and around the top four for much of the last few years by this point, not to mention having a Grand Slam title to his name in the shape of the 2008 Australian Open, it was 2011 where he truly announced his arrival at the top of men’s tennis. Djokovic won the Australian Open, Wimbledon, and the US Open, as well as taking five ATP Masters events—a record breaking feat. He also set a record for most prize money won in a single season during this year, and received the “Golden Bagel Award” for winning 13 sets 6—0 over the course of the season. It also marked the first time Djokovic became the world number one. Many consider this season on par with Federer’s 2006 season in terms of dominance, with greats such as Pete Sampras and Boris Becker praising the Serbian’s performances. 2012 saw each of the Big Four split the four Grand Slam titles among them for the first time, as well as filling all of the finalist berths at each tournament. If the whole run of the Big Four has not been an evenly spread, equally shared feat of dominance, 2012 certainly was. This year saw the arrival of Andy Murray as a true Big Four player. Murray had been undoubtedly a step above the rest of the tour up to this point, but he had also been a step behind the other three members of the Big Four, a fact that caused many to consider it the “Big Three plus One”. That all changed in 2012 with Murray’s maiden Slam. For the first—and thus far only—time, the four Grand Slams were split between all of the Big Four Members. 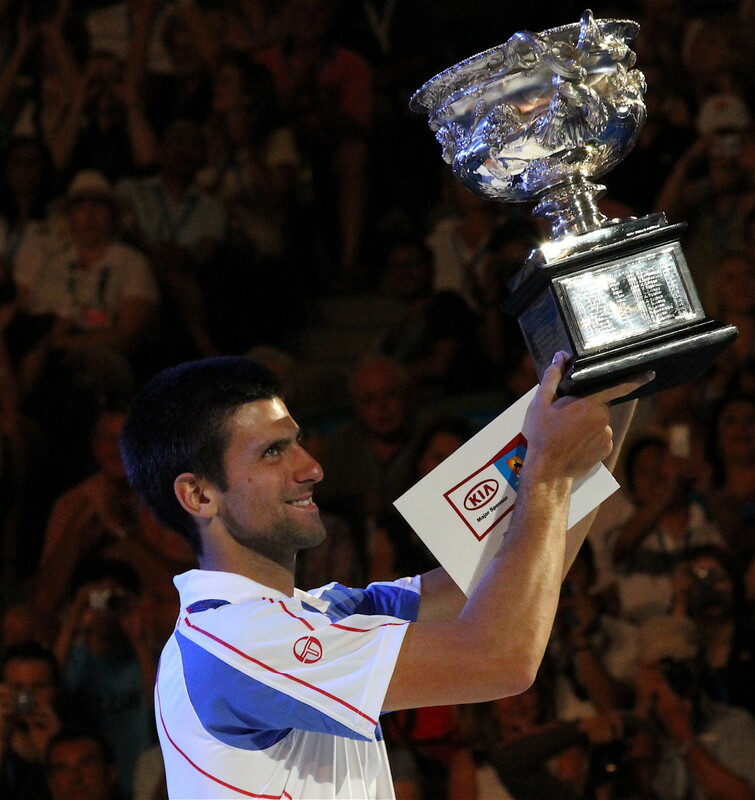 Djokovic started the years off with his third Australian Open title, defeating Nadal in the final. The roles were soon reversed however, with Nadal taking his seventh French Open title at the expense of Djokovic. The other members of the Big Four stepped into the spotlight for Wimbledon, with Federer winning a record seventh title at the All England Club, beating Murray in four sets. Last but not least, Murray went on to take the US Open when he defeated Djokovic in a marathon five setter. 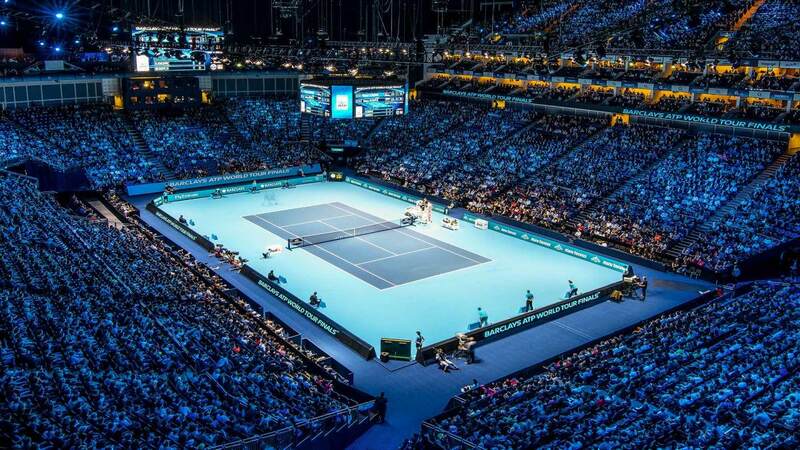 In addition to taking all of the Grand Slam titles that year (as well as filling all the finalist slots), the Big Four also took eight of the nine ATP 1000 events on offer and the winner and runner up slots at the World Tour Finals. The Olympic men's singles tennis final saw Murray avenge his Wimbledon final defeat by beating Federer, ensuring that the Big Four would also take home Olympic gold and silver that year. The Big Four also occupied the top four spots in the rankings, a fact that was not unusual as they had made up the top four ranking spots for the previous four years as well, but 2012 would be the last year (so far) that this would happen. 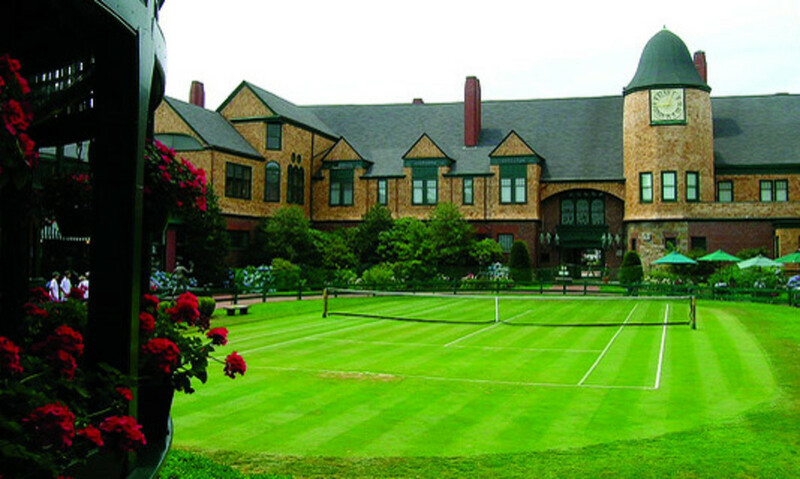 2013 continued much as expected, with the Big Four taking all of the Grand Slam tournaments, all of the Masters 1000 events, and the World Tour Finals. Djokovic brought his Australian Opens title count to four, while Nadal brought his total Grand Slam victories to thirteen with another French Open and a US Open title. 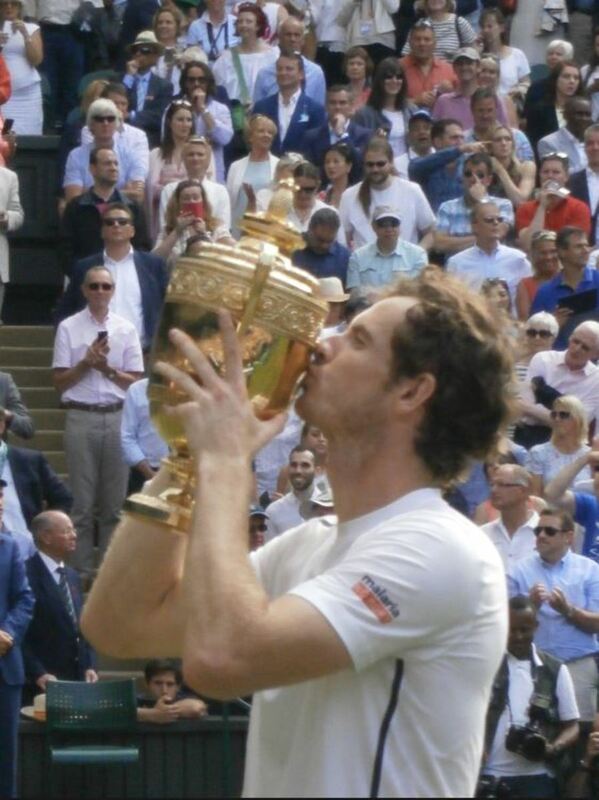 Murray, meanwhile, consolidated his Grand Slam credentials with a Wimbledon title, becoming the first Brit to win at the All England Club since the 1930s. The first sign that the hold of the Big Four may be weakenign came in the shape of an ageing Roger Federer. Though still a formidable force on the tour, Federer is oldest member of the Big Four and for the first time in his career, niggling injuries seemed to be setting in. Following the Big Four's dominance of 2012, Federer was the only member of the elite group not to take home a Grand Slam in 2013 and finished at number six in the rankings, breaking the Big Four’s five year hold on the top four ranking spots. Andy Murray, meanwhile, followed his Wimbledon victory with a disappointing quarter final exit at the US Open, and soon after cut his season short in order to undergo surgery on his back. He returned for the 2014 season, however he would take nearly the full year to get back to his formerly winning ways, and finished outside of the top four in the rankings for the first time in six years. Aside from Murray’s struggles, 2014 saw something that was beginning to become unthinkable; players who weren’t part of the Big Four winning Grand Slam tournaments. From the 2005 to the 2014 Australian Open, only one Grand Slam was won by a non-Big Four player. In 2014, however, Stan Wawrinka defeated a struggling Nadal to take the Australian Open title, while the US Open final was contested entirely without a Big Four player's involvement with Marin Cilic defeating Kei Nishikori. The remaining slams were taken by Nadal (French Open) and Djokovic (Wimbledon). A renewed consistency from Federer meant that the Big Four still occupied three of the top four ranking slots in 2014 despite Murray’s dip in form, and they still accounted for seven of the nine Masters events and the World Tour Finals, but many felt that the dominance of these four great players may be over. With Federer on the decline, Murray still finding his form after back surgery, and Nadal suffering from various injuries and his own poor form, 2015 belonged to Novak. For the second time in his career, Djokovic took home all the Slams save for the French Open, which was won by Grand Slam surprise package, Stan Wawrinka. 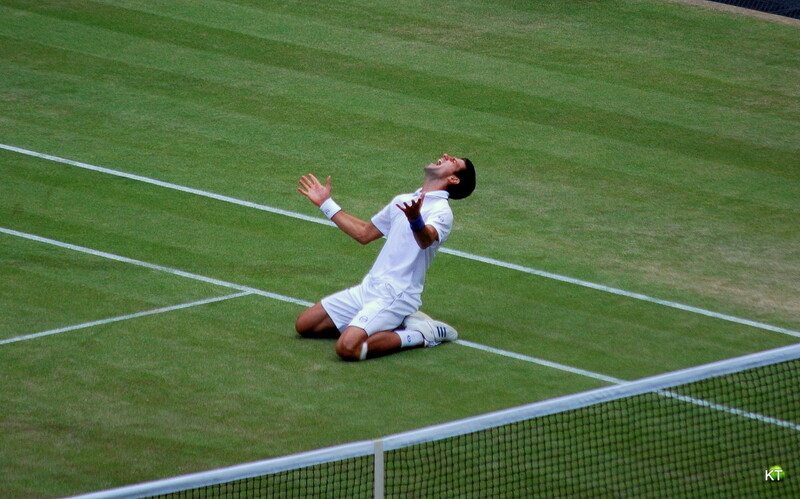 Djokovic also took six of the nine Masters events and the World Tour Finals for the fourth consecutive time. Despite the lack of Slam victories, Federer was able to finish the year third in the rankings, while Murray’s own recovering momentum saw him take a couple of Masters titles and finish the year as the number two ranked player. Many consider Djokovic's 2015 season on par with his 2011 run of dominance. 2016 started much as 2015 ended. Murray’s renewed form took him to both the Australian Open and French Open finals… where he was beaten both times by Novak Djokovic. The French Open victory gave Djokovic his Career Slam, and many expected his run of dominance to continue. That would not be the case, however. Djokovic’s form began to drop off after the French Open, and a string of surprise defeats saw him struggle to win titles in the second half of the year. Murray, meanwhile went from strength to strength, carrying momentum from his first French Open final into the grass court season where he would take the Wimbledon crown for the second time. Murray also won Olympic gold in the men's singles for a second time, becoming the first tennis player to do so, and finished out the season by winning the World Tour Finals for the first time, taking the number one ranking from Djokovic in the process. The switch in rankings was particularly remarkable given that, after the French Open, Djokovic was over around 8,000 points clear of Murray. Murray and Djokovic would split all but two of the Masters titles between them. Meanwhile, Rafael Nadal’s struggling form continued. Despite this, he was able to win a Masters event and claim a gold medal at the 2016 Rio Olympics for men’s doubles, but poor form and injures plagued Nadal’s season, and he would go on to finish outside of the top four in the rankings for the second year in a row. Federer started his 2016 campaign much as his 2015 season had gone; being consistent enough to maintain a high ranking without winning many actual titles. Having reached the semi-final of Wimbledon, Federer would be knocked out by eventual finalist, Milos Raonic, and would soon after announced that his season was ending due to knee surgery. This would see Federer drop to sixteenth in the rankings by the end of the season, and for the first time in 8 years only two of the Big Four finished the year in the top four spots of the rankings. From 2005 to 2016, both the number one and number two position in the rankings have been occupied by members of the Big Four. In 2005 and 2006, those players were Federer and Nadal, with Djokovic and Murray yet to even break into the top ten. The fact that these positions have constantly shifted and that we now find ourselves with Murray and Djokovic at the top while Federer and Nadal are seemingly falling out of the top ten can be put partially down to age in Federer’s case, but also down to “peak”. 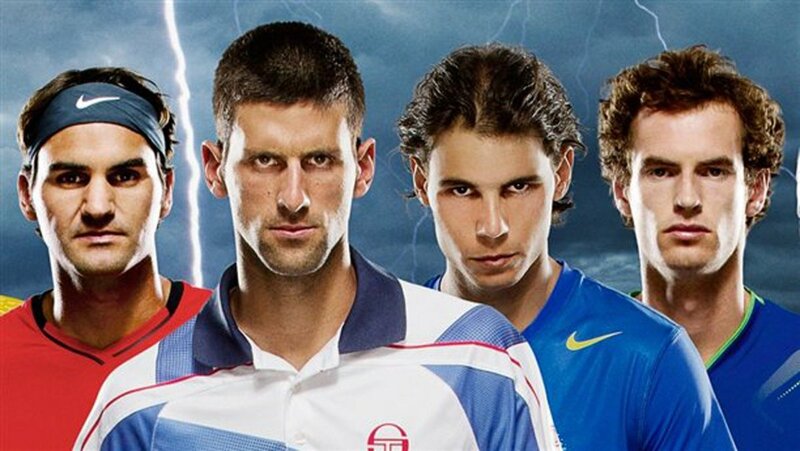 Nadal, Djokovic, and Murray are all nearly the same age, yet Nadal hit the ground running much sooner than his Serbian and British counterparts. 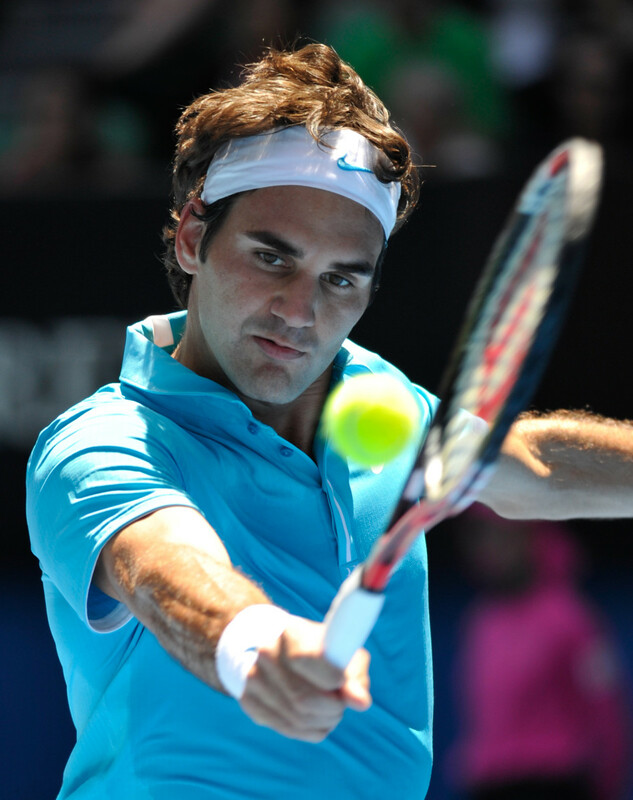 Federer is holder of the all-time record for men's singles Grand Slam victories. His (current) total of 20 Slams surpassed the previous record of 14, held by Pete Sampras. Federer is the only member of the Big Four to use a single handed backhand, a style that has fallen largely out of fashion among tennis' elite. 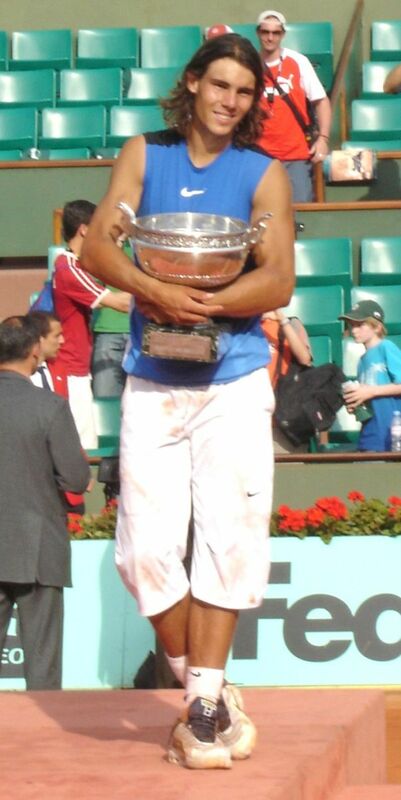 Nadal is renowned for his dominance on clay courts as shown by his astounding nine French Open titles. But if you take away the French Open, his remaining five Slams still puts him in the all time top thirty for Grand Slam titles. 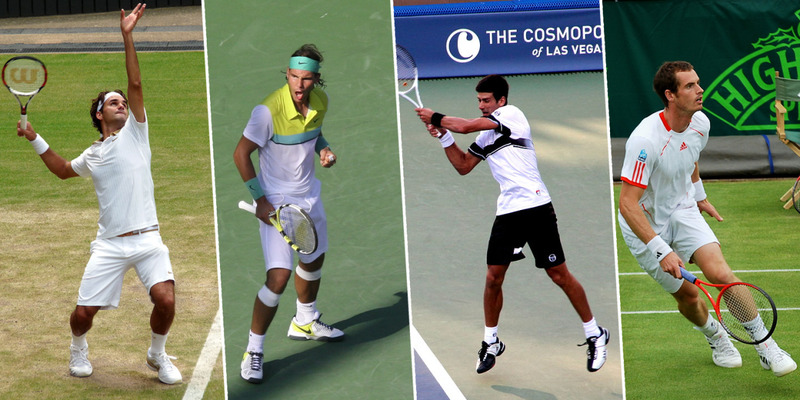 Nadal is the only member of the Big Four to play left handed. Nadal is ambidextrous, and the decision to play left handed was a conscious one as it was thought to be an advantage against predominately right handed players. In addition to his many solo successes, Djokovic was instrumental in Serbia's first Davis Cup title in 2010. 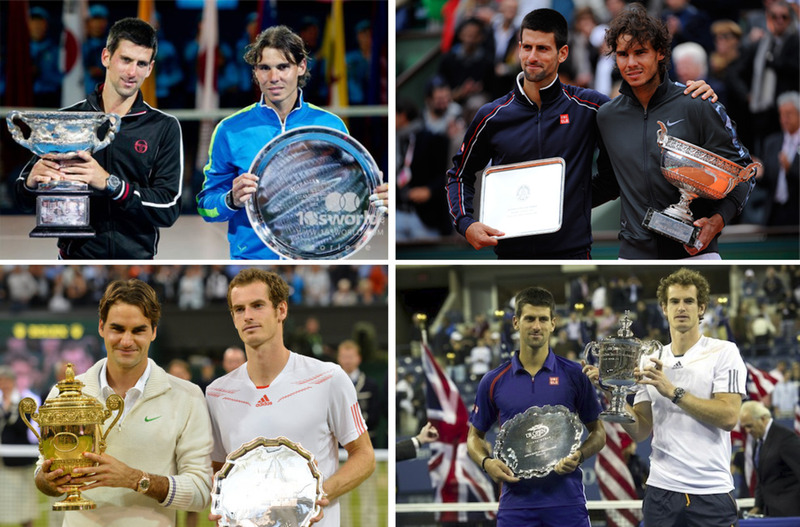 Between 2010 and 2013, not only was every Grand Slam won by members of the Big Four, but also every runner up spot. In addition, they have occupied all four semi final spots at a Grand Slam on four occasions. Each of the Big Four have the rare accolade of having reached the semi-finals of every Grand Slam in a calendar year, a feat that has only ever been achieved by three other players in Rod Laver, Tony Roche, and Ivan Lendl. The 2013 US Open final was the first Grand Slam final in 38 tournaments to not feature a member of the Big Four. The final featured Marin Cilic and Kei Nishikori, with Cilic taking the victory. Andy Murray has reached the Australian Open final an impressive five times, but has yet to win the tournament. Despite only having three Grand Slam titles to his name, Murray has reached eleven Slam finals. Prior to the 2016 Wimbledon finals, every Slam final that Murray played was against either Federer or Djokovic.